In the medical device industry, labeling is critical. Both the industry and federal regulators require specific information about each medical device and its packaging to travel with each item in order to provide full traceability up and down the supply chain. 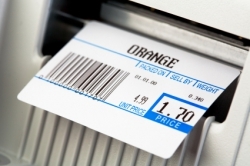 Labeling errors can lead to costly consequences. Mangar Medical Packaging has improved its own labeling accuracy using homegrown label management software along with dedicated label printers for each production line. The new print-on-demand solution has eliminated problems associated with the company's prior batch label process while maintaining the quality and accuracy of each customer's unique labeling requirements. Based in New Britain, Pa., Mangar manufactures sterile barrier packaging for Class II and III medical devices, including pouches, die-cut lids, and mounting cards. Packaging and labeling are tantamount to Mangar's customer service efforts. Not only does each customer have specific labeling requirements, but the company also has to ensure that its labels comply with federal medical device labeling and tracking requirements. The pouches the company produces are first grouped into bundles and then packed into boxes. Both the bundles and boxes have to be labeled with manufacturing information, lot data, date/time, and customer information in order to provide full traceability. To label the bundles and boxes, Mangar relies on a fleet of SATO CL408e printers. Mangar has used the SATO printers for a number of years. In order to support the new labeling application, Mangar recently deployed an additional fourteen units (bringing the total to 20) from their long-term supplier RighterTrack, a Washington Crossing, Pa.-based reseller. Prior to the new application going live, Mangar would preprint the labels needed for each customer order and shipment. "The preprinted labels included all of the required data about the order, but that process left room where the system could fail," according to Jerel Pino, Systems Development Manager at Mangar. Each customer and work order can have specific labeling formats, so the company has to ensure that the right label goes on each bundle and box. "With the old system, our production staff was required to select the appropriate labels for a work order and manually enter information that would print on the labels," Pino says. "If an incorrect selection was made or data was keyed incorrectly, it would challenge our system of checks and balances." For instance, if a customer brought a label error to the company's attention, Mangar would institute preventive actions to avoid the problem occurring again. That would usually involve having employees take additional steps to verify the labels, which added more time to the process. Pino designed a new printing software solution (based on Microsoft Visual Basic and SQL Server) called Harmony, which is integrated with the company's Infor VISUAL Enterprise ERP system. "Harmony extends our labeling and traceability capacity in ways that were not possible using just the ERP solution," Pino says. Because the company had very specific traceability requirements, Pino determined that it would be faster and less costly to develop a solution in house. "It was much quicker and cost effective to develop the software than to buy an off-the-shelf product and have to modify and integrate with our existing systems. This approach also allows Mangar to maintain control over the solution and alter it as our business needs change and improvement opportunities are identified." Rather than upgrade to a different model of printer, Mangar opted to stick with the SATO CL408e thermal printers because of their easy validation, fast performance and reliability history. 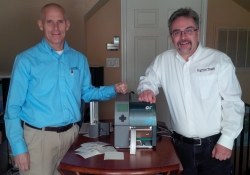 George Righter, President of RighterTrack, first introduced Mangar to the SATO CL series printers more than a decade ago. While the CL series certainly isn’t SATO's most current printer model, Righter raves about the printers because they are easy to service and repair by either the end-user (Mangar) or RighterTrack. 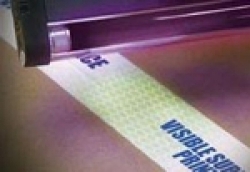 The label and ribbon paths are clear, and the printers are extremely user friendly. They offer a variety of connectivity options, which can be changed simply by swapping the interface card. They still have the fastest throughput (time to print the first label in a print job) in the industry, the external DIP switches make it quicker and easy to support, and the printers provide an immediate boot up, resulting in no wait time. Most importantly in this case, the CL series are easily validated by their long-term history of minimal required service and excellent reliability—a must for medical device manufacturers. In addition to the printers being used for the bundle tag and box labeling application, Mangar also has the ability to print custom labels to meet customers’ special labeling requests. Finally, the company most recently deployed two SATO printers with rotary cutters for labeling raw materials. 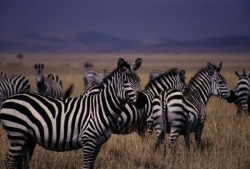 "The SATO printers have proven to be very robust and reliable in our environment," says Pino. "We've had very few problems with them whatsoever. You turn them on and they are ready to go." Each production line has its own printing cart. There are two printers installed on each cart, one for the bundle labels and another for the box labels. Both are attached to a touchscreen computer, and each cart also includes a Honeywell 4600Gg bar code scanner. "With limited floor space, we needed a solution that required the least amount of room possible," Pino says. "The solution would also need to be portable to accommodate variations in the packaging process for each work order. We sourced trolley-style carts from Anthro, and everything on the carts is networked back into our main systems." Quality technicians first scan a bar coded work order. The Harmony system then pulls all of the necessary customer information about the work order being produced and the proper labels to be printed. The quality technicians print test labels and perform a quality check (to verify the labels meet that customer's requirements and specification). Once the labels are verified, the floor operators can begin printing labels on demand as product comes off the line. "When labels are printed, all the information about each label is recorded in our database," says Pino. "We record bundle and box numbers, time and date the label was printed, the raw materials lot identifiers, the machine used to produce the work order, comments added to the label and many other data points. This all happens with the push of a button and is transparent to the users. Our ability to accurately trace our product has grown exponentially." The software automatically determines the correct number of labels required for each box. "The system was designed to maintain itself," Pino says. "It will track which bundles are associated with each box, track the total number of pieces packaged, any rejected bundles, and will allow reprinting of damaged labels and the reason the label is being reprinted"
With the new solution in place, Mangar immediately saw an improvement in traceability and increased accuracy of label data. "The new systems have made the entire labeling process much easier and faster," says Pino. "Work order label data errors have been eliminated because all of the data is now directly from the ERP database." By combining an easy-to-use software solution with fast, reliable printers, Mangar has improved labeling accuracy while maintaining its ability to provide custom labels that meet the medical device industry's traceability standards. "When we developed this application, we were striving to increase accuracy and limit the demands we made on our operators during the labeling process," Pino says. "We've achieved that, and believe we are leading our market with this labeling system."